There’s no question here: this little girl was definitely born with it! 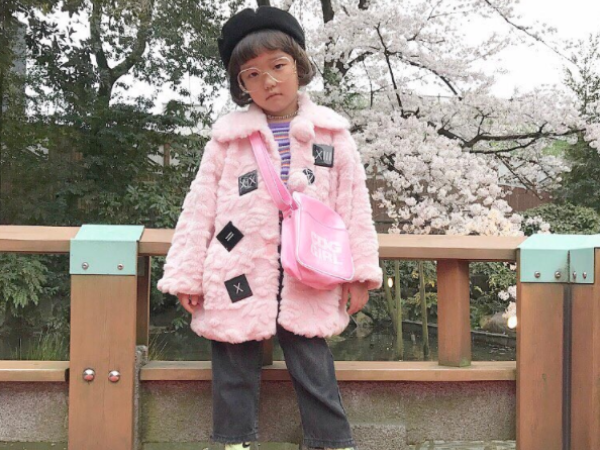 Meet Coco, the six-year-old fashionista whose bold sense of style has garnered her attention in the fashion industry. Coco, from Harajuku in Tokyo, Japan, has been making such waves in the world of fashion she’s been featured in Vogue and can even count rapper Tyga as a fan. Her mother, Misato Hamamatsu, describes her style as a mix between "high fashion and art" that is "always changing and evolving". “Coco is a miniature fashionista,” Misato told Daily Mail Australia. “And that is why we think she became a hit." She says her daughter’s style serves as inspiration for young and old alike. Coco’s passion for fashion started when she was three years old. When her father would take trips to the USA, he’d bring clothes back for her as gifts. “Every time she received her clothing present from her dad she was so happy, and gradually developed her love for clothing,” her mother adds. Although her father still offers fashion advice, the cheeky (or should we say chic-ky) six-year-old chooses her own outfits. With more than 100 000 Instagram followers tracking her every style move Coco has become somewhat of a celebrity, her mom says. But Misato adds that there’s no pressure on Coco to venture into the fashion world when she’s older.